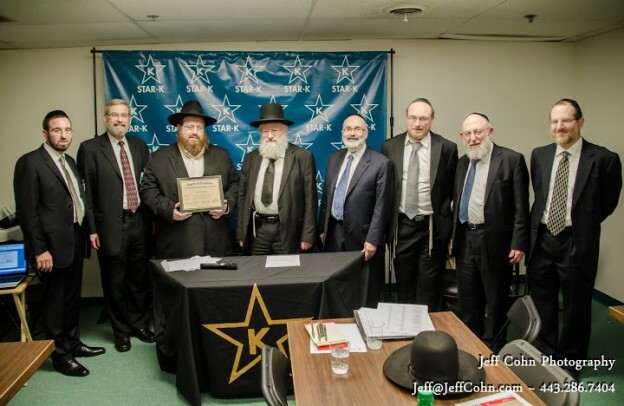 On December 24, STAR-K Kosher Certification held its annual Winter Mashgichim Review Seminar at its Baltimore offices. STAR-K Kashrus Administrators Rabbis Mayer Kurcfeld and Sholom Tendler conducted the day-long sessions with the goal of bringing together food service mashgichim to inform, review, and reinforce STAR-K food service policies and procedures. Attendees came from New York, New Jersey, Pennsylvania, D.C., and the Baltimore area. The seminar culminated with a Q & A session with STAR-K Rabbinic Administrator HaRav Heinemann.